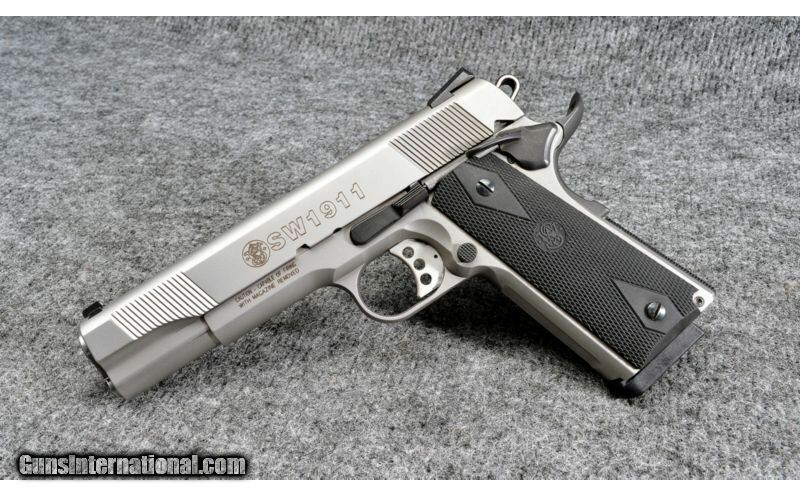 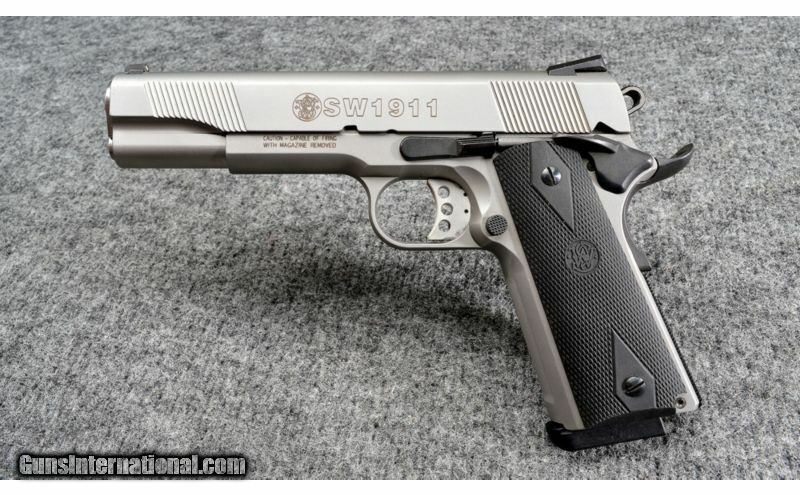 The Model 1911 is one of the most popular handgun designs ever made. 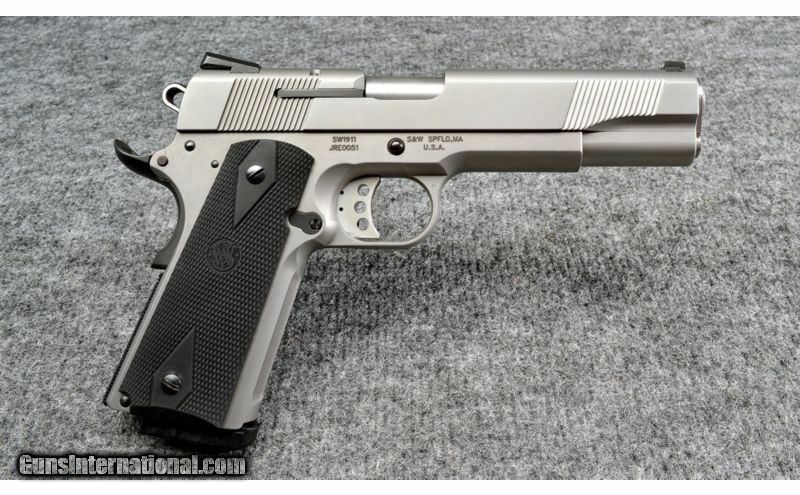 More than a century after its introduction, it remains the firearm of choice for many law-enforcement and military personnel, competition shooters and gun owners wanting a reliable firearm for personal protection. 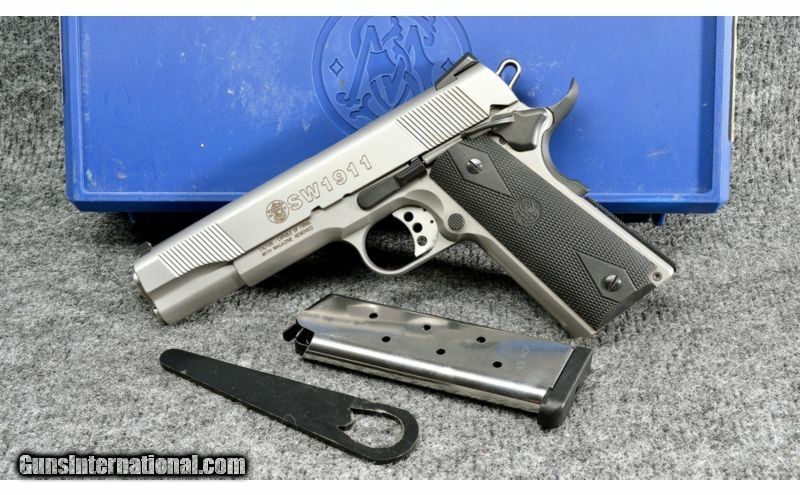 Smith and Wesson's take on this legendary pistol is crafted with utmost precision and to exacting tolerances, including the stainless steel slide and frame. 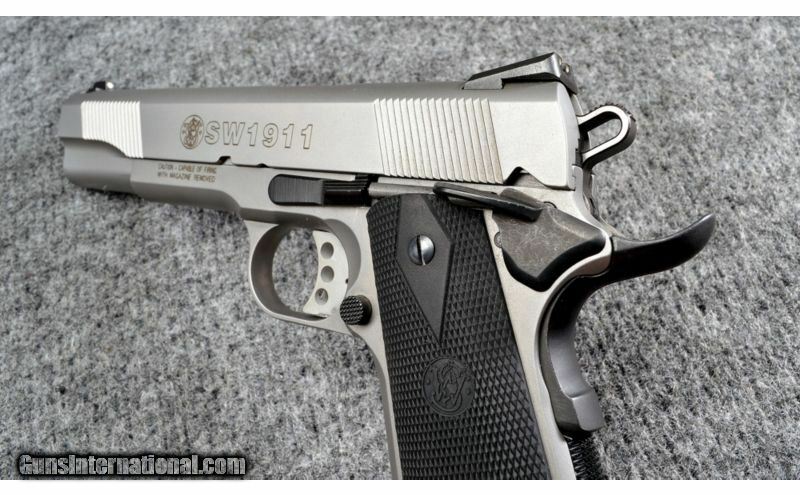 Overall, this 1911 is in excellent condition; there is very little wear on the frame and slide. 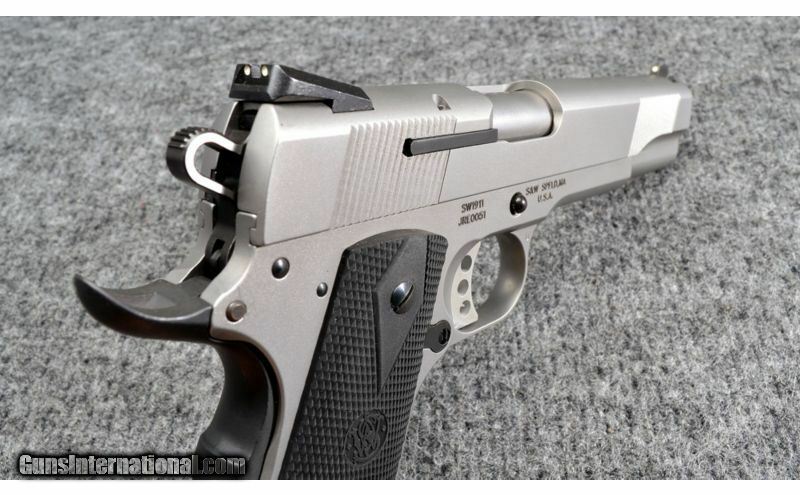 The bore is in very good condition with sharp rifling. 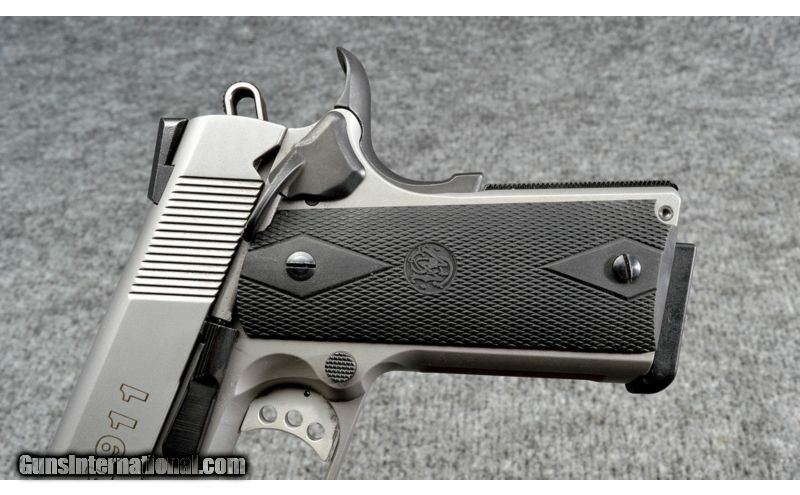 This Model 1911 includes the factory case, paperwork, barrel bushing tool, and one magazine.